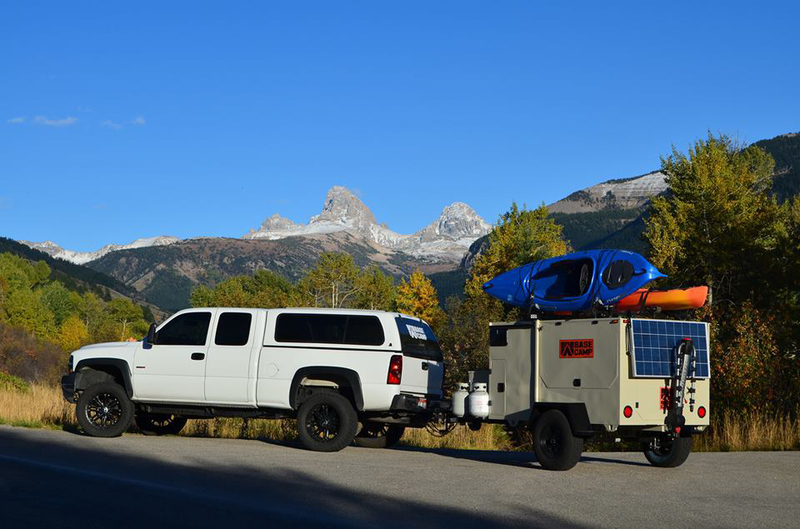 A highly customizable trailer for rugged destinations. 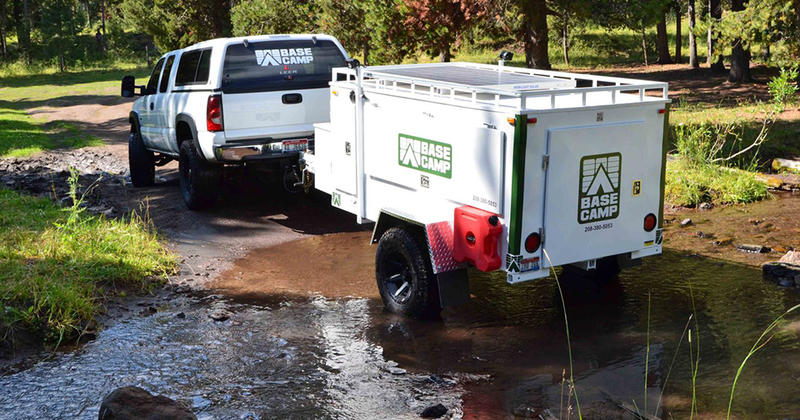 The Base Camp Trailer is made of steel sheets over a steel tube frame with 15″ wheels. 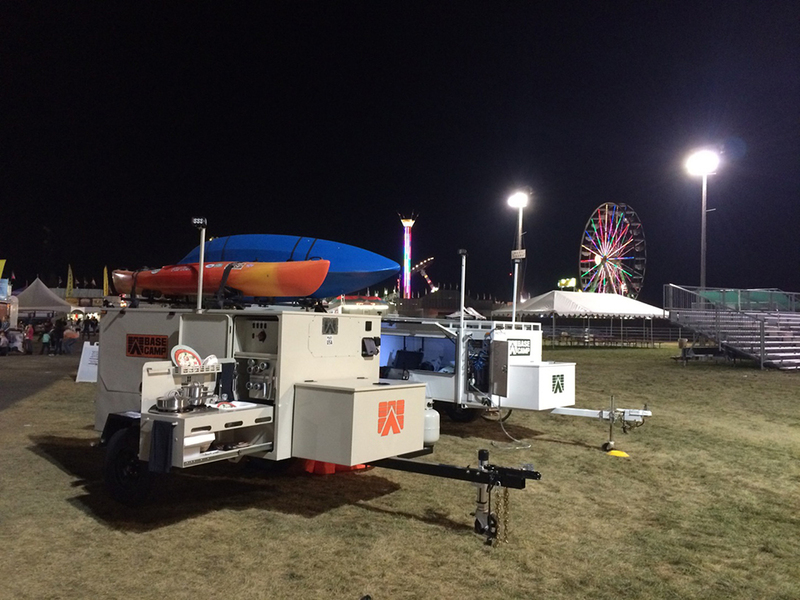 Options include a roll out kitchen, storage boxes, a rooftop tent and a heavy duty solar charging system with AC and USB ports.